What a sweet card for your sister’s niece! 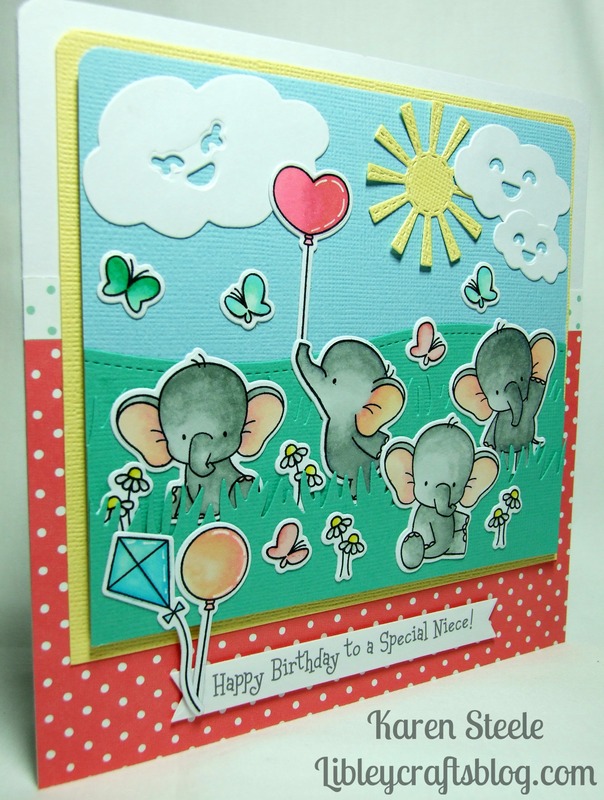 Darling group of elephants, butterflies, and fun clouds with smiley faces…so cute!! 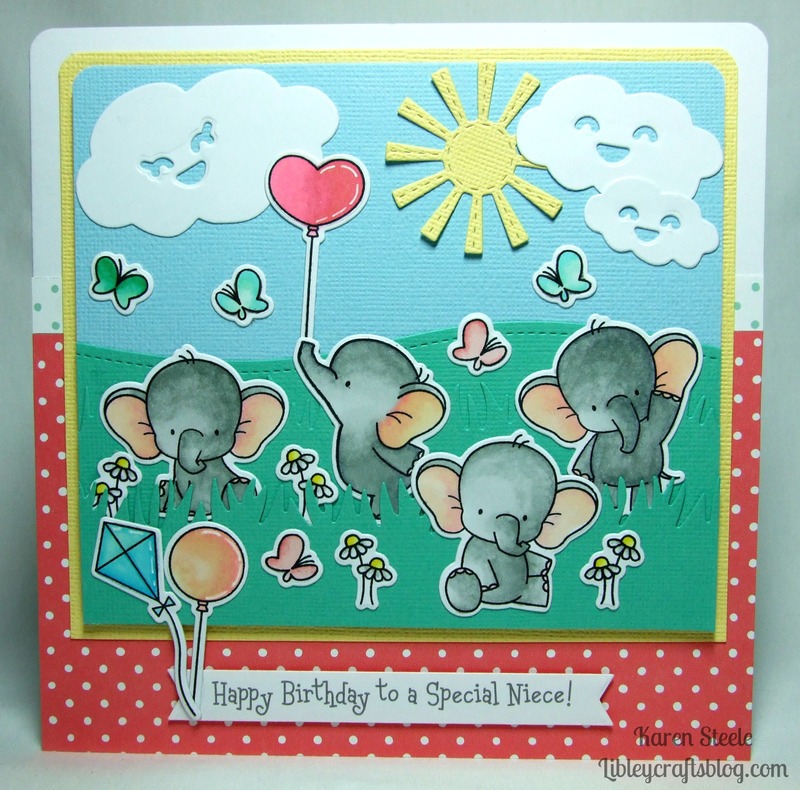 An elephant party! How marvellous! And then little happy clouds too? Absolutely super. I love your imagination, and the finished results. Om my gosh – it is so cute! Fun card! Adorable card, Karen! Love the fun scene you created!